Choopani, A., Poorsoltan, M., Fazilati, M., Latifi, A., Salavati, H. (2016). Spirulina: A Source of Gamma-linoleic Acid and Its Applications. Journal of Applied Biotechnology Reports, 3(4), 483-488. Ali Choopani; Mozhgan Poorsoltan; Mohammad Fazilati; Ali Mohammad Latifi; Hossain Salavati. "Spirulina: A Source of Gamma-linoleic Acid and Its Applications". Journal of Applied Biotechnology Reports, 3, 4, 2016, 483-488. Choopani, A., Poorsoltan, M., Fazilati, M., Latifi, A., Salavati, H. (2016). 'Spirulina: A Source of Gamma-linoleic Acid and Its Applications', Journal of Applied Biotechnology Reports, 3(4), pp. 483-488. Choopani, A., Poorsoltan, M., Fazilati, M., Latifi, A., Salavati, H. Spirulina: A Source of Gamma-linoleic Acid and Its Applications. Journal of Applied Biotechnology Reports, 2016; 3(4): 483-488. The human body needs essential nutrients in order to function, grow, and stay healthy. Our bodies cannot make these nutrients, so get them from our diet. On the other hand, some diet-related diseases can be caused by certain improper food ingredients and body inability of absorbing them. Then the idea of purifying beneficial ingredients formed. Poly-unsaturated fatty acid such as gamma-linoleic acid (GLA) is a group of essential fatty acids particularly favorable for its application in nutraceutical and pharmaceutical industries. GLA plays significant roles in improving human body functions. It has gained its importance in the last four decades for having a positive effect on the most of the chronic diseases of modern society, in­cluding cancer, diabetes, heart disease, arthritis, Alzheimer's disease, etc. Then, it has been used as a dietary supplement for the treatment of various health problems and have inflammatory component. One of the richest sources of GLA is a kind of microalgae; Spirulina. Spirulina is a blue-green alga primarily originated from two species of cyanobacteria and is believed to be the first form of plant life on the earth. This article reviews GLA applications and properties; favorable conditions for increasing its amount within Spirulina; and how to extract it from the algae. Zielińska, A., Nowak, I., Fatty acids in vegetable oils and their importance in cosmetic industry. CHEMIK nauka-technika-rynek, 2014, Vol. 1, pp. 103-110. Kapoor, R., Huang, Y.S., Gamma linolenic acid: an anti-inflammatory omega-6 fatty acid. Curr Pharm Biotechnol, 2006, Vol. 7, pp. 531-534. Kucukboyaci, N., Dogru Koca, A., Yildirimli, Ş., Killic, E.İ., Goren, A.C., γ-linolenic acid content and fatty acid profiles of the seed oils of some anchuusa species. Turk J Pharm Sci, 2013, Vol. 10, pp. 87-94. Spurvey, S.A., Production of structured lipids via enzymatic interesterification of gamma-linolenic acid (GLA) and marine oils. Memorial University of Newfoundland, 2002. Karkos, P., Leong, S., Karkos, C., Sivaji, N., Assimakopoulos, D., Spirulina in clinical practice: evidence-based human applications. Evid Based Complement Alternat Med, 2008, Vol. 2011, pp. 27-32. Kumar, P., Desai, N., Dwivedi, M., Multiple potential roles of Spirulina in human health. CRC Press A, 2007. Sergeant, S., Rahbar, E., Chilton, F.H., Gamma-linolenic acid, Dihommo-gamma linolenic, Eicosanoids and Inflammatory Processes. Eur J Pharmacol, 2016, Vol. 785, pp. 77-86. Białek, M., Rutkowska, J., The importance of γ-linolenic acid in the prevention and treatment. Postepy higieny i medycyny doswiadczalnej (Online), 2014, Vol. 69, pp. 892-904. Ahmed, S.U., Reddy, K.K., Swathy, S.L., Singh, S.K., Kanjilal, S., Prasad, R.B., et al., Enrichment of γ-linolenic acid in the lipid extracted from Mucor zychae MTCC 5420. Food Res Int, 2009, Vol. 42, pp. 449-453. Raja, R., Hemaiswarya, S., Ganesan, V., Carvalho, I.S., Recent developments in therapeutic applications of Cyanobacteria. Crit Rev Microbiol, 2016, Vol. 42, pp. 394-405. Ötleş, S., Pire, R., Fatty acid composition of Chlorella and Spirulina microalgae species. J AOAC Int, 2001, Vol. 84, pp. 1708-1714. Zurier, R.B., Rossetti, R.G., Jacobson, E.W., Demarco, D.M., Liu, N.Y., Temming, J.E., et al., Gamma‐linolenic acid treatment of rheumatoid arthritis. A randomized, placebo‐controlled trial. Arthritis Rheum, 1996, Vol. 39, pp. 1808-1817.
de Jesus Raposo, M.F., de Morais, R.M.S.C., de Morais, A.M.M.B., Health applications of bioactive compounds from marine microalgae. Life Sci, 2013, Vol. 93, pp. 479-486. Mohan, A., Misra, N., Srivastav, D., Umapathy, D., Kumar, S., Spirulina, the nature’s wonder: A review. Lipids, 2014, Vol. 5, pp. 7-10. Kapoor, R., Nair, H., Gamma linolenic acid oils. Bailey's Industrial Oil and Fat Products, 2005. Goffman, F.D., Galletti, S., Gamma-linolenic acid and tocopherol contents in the seed oil of 47 accessions from several Ribes species. J Agric Food Chem, 2001, Vol. 49, pp. 349-354. Cohen, Z., Didi, S., Heimer, Y.M., Overproduction of γ-linolenic and eicosapentaenoic acids by algae. Plant physiol, 1992, Vol. 98, pp. 569-572. Sharathchandra, K., Rajashekhar, M., Total lipid and fatty acid composition in some freshwater cyanobacteria. J Algal Biomass Utln, 2011, Vol. 2, pp. 83-97. Spolaore, P., Joannis-Cassan, C., Duran, E., Isambert, A., Commercial applications of microalgae. J Biosci Bioeng, 2006, Vol. 101, pp. 87-96. Grima, E.M., Pérez, J.S., Camacho, F.G., Medina, A.R., Giménez, A.G., Alonso, D.L., The production of polyunsaturated fatty acids by microalgae: from strain selection to product purification. Proce Biochem, 1995, Vol. 30, pp. 711-719. Soltani, N., Latifi, AM., Alnajar, N., Dezfulian, M., Shokarvi, S., Heydari, M., et al., Biochemical and physiological characterization of three Microalgae spp. as candidates for food supplement. J Appl Biotechnol Rep, 2016, Vol. 3, pp. 377-381. Moazami, N., Ranjbar, R., Ashori, A., Tangestani, M., Nejad, A.S., Biomass and lipid productivities of marine microalgae isolated from the Persian Gulf and the Qeshm Island. Biomass Bioenerg, 2011, Vol. 35, pp. 1935-1939. Mahajan, G., Kamat, M., γ-Linolenic acid production from Spirulina platensis. Appl Microbiol Biotechnol, 1995, Vol. 43, pp. 466-469. Ronda, S.R., Lele, S., Culture Conditions stimulating high γ-Linolenic Acid accumulation by Spirulina platensis. Braz J Microbiol, 2008, Vol. 39, pp. 693-697. Monteiro, M.P.C., Luchese, R.H., Absher, T.M., Effect of three different types of culture conditions on Spirulina maxima growth. Braz Arch Biol Technol, 2010, Vol. 53, pp. 369-373. Sotiroudis, T.G., Sotiroudis, G.T., Health aspects of Spirulina (Arthrospira) microalga food supplement. J Serb Chem Soc, 2013, Vol. 78, pp. 395-405. Roughan, P.G., Spirulina: A source of dietary gamma‐linolenic acid? J Sci Food Agric, 1989, Vol. 47, pp. 85-93. Ghaeni, M., Roomiani, L., Review for Application and Medicine Effects of Spirulina, Microalgae. J Adv Agric Technol, 2016,Vol. 3, pp. 1-6. Ravi, M., De, S.L., Azharuddin, S., Paul, S.F., The beneficial effects of Spirulina focusing on its immunomodulatory and antioxidant properties. Nutr Diet Suppl, 2010, Vol. 2, pp. 73-83. Fazilati, M., Latifi, A.M., Salavati, H., Choopani, A., Antioxidant Properties of Spirulina. 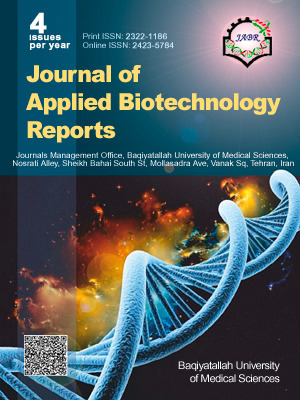 Journal of Applied Biotechnology Reports, 2016, Vol. 3, pp. 345-351. Desai, K., Sivakami, S., Spirulina: the wonder food of the 21st centry. Asia Pacific Biotech News, 2004, Vol. 8, pp. 1298-1302. Zeweil, H., Abaza, I.M., Zahran, S.M., Ahmed, M.H., AboulEla, H.M., Saad, A.A., Effect of Spirulina platensis as dietary supplement on some biological traits for chickens under heat stress condition. Asian J Biomed Pharm Sci, 2016, Vol. 6, pp. 8-14. Suliburska, J., Szulińska, M., Tinkov, A., Bogdański, P., Effect of Spirulina maxima supplementation on Calcium, Magnesium, Iron, and Zinc status in obese patients with treated hypertension. Biol Trace Elem Res, 2016, Vol. 173, pp. 1-6. Deng, R., Chow, T.J., Hypolipidemic, antioxidant, and antiinflammatory activities of microalgae Spirulina. Cardiovasc Ther, 2010, Vol. 28, pp. e33-e45. Hirahashi, T., Matsumoto, M., Hazeki, K., Saeki, Y., Ui, M., Seya, T., Activation of the human innate immune system by Spirulina: augmentation of interferon production and NK cytotoxicity by oral administration of hot water extract of Spirulina platensis. Int Immunopharmacol, 2002, Vol. 2, pp. 423-434. Kent, M., Welladsen, H.M., Mangott, A., Li, Y., Nutritional evaluation of Australian microalgae as potential human health supplements. PloS one, 2015, Vol. 10, pp. e0118985. Gutiérrez-Salmeán, G., Fabila-Castillo, L., Chamorro-Cevallos, G., Aspectos nutricionales y toxicológicos de Spirulina (arthrospira). Nutricion Hospitalaria, 2015, Vol. 32, pp. 34-40. Konícková, R., Vanková, K., Vaníková, J., Vánová, K., Muchová, L., Subhanová, I., et al., Anti-cancer effects of blue-green alga Spirulina platensis, a natural source of bilirubin-like tetrapyrrolic compounds. Ann Hepatol, 2014, Vol. 13, pp. 273-283. Golmakani, M.T., Rezaei, K., Mazidi, S., Razavi, S.H., γ‐Linolenic acid production by Arthrospira platensis using different carbon sources. Eur J Lipid Sci Technol, 2012, Vol. 114, pp. 306-314. Colla, L.M., Bertolin, T.E., Costa, J.A.V., Fatty acids profile of Spirulina platensis grown under different temperatures and nitrogen concentrations. Zeitschrift für Naturforschung C, 2004, Vol. 59, pp. 55-59. Mühling, M., Belay, A., Whitton, B.A., Variation in fatty acid composition of Arthrospira (Spirulina) strains. J Appl Phycol, 2005, Vol. 17, pp. 137-146. Hirano, M., Mori, H., Miura, Y., Matsunaga, N., Nakamura, N., Matsunaga, T., γ-Linolenic acid production by microalgae. Applied biochemistry and biotechnology, 1990, Vol. 24, pp. 183-191. Bhakar, R., Brahmdutt, B., Pabbi, S., Total lipid accumulation and fatty acid profiles of microalga Spirulina under different nitrogen and phosphorus concentrations. Egypt J Biol, 2014, Vol. 16, pp. 57-62.
van Rijn, J., Shilo, M., Nitrogen limitation in natural populations of cyanobacteria (Spirulina and Oscillatoria spp.) and its effect on macromolecular synthesis. Appl Environ Microbiol, 1986, Vol. 52, pp. 340-344. Ronda, S.R., Bokka, C.S., Ketineni, C., Rijal, B., Allu, P.R., Aeration effect on Spirulina platensis growth and γ-linolenic acid production. Braz J Microbiol, 2012, Vol. 43, pp. 12-20. Sajilata, M., Singhal, R., Kamat, M., Fractionation of lipids and purification of γ-linolenic acid (GLA) from Spirulina platensis. Food Chem, 2008, Vol. 109, pp. 580-586. Jubie, S., Dhanabal, S., Chaitanya, M., Isolation of methyl gamma linolenate from Spirulina platensis using flash chromatography and its apoptosis inducing effect. BMC complement Altern Med, 2015, Vol. 15, pp. 263. Jubie, S., Dhanabal, P., Azam, M.A., Muruganantham, N., Kalirajan, R., Elango, K., Synthesis and characterization of some novel fatty acid analogues: A preliminary investigation on their activity against human lung carcinoma cell line. Lipids Health Dis, 2013, Vol. 12, pp. 45. Yao, C.H., Be, J.W., Zer, R.Y., Cheng, C.W., Koo, M., Optimization of a continuous preparation method of Arthrospira platensis γ-linolenic acid by supercritical carbon dioxide technology using response surface methodology. Sains Malaysiana, 2015, Vol. 44, pp. 1739-1744.